Winter’s Icy Fist was definitely upon us this past week in the mornings and the Meadowgarteners enjoyed finding ice in all shapes and sizes in the forest. The afternoons warmed up nicely, allowing us to shed some layers during afternoon playground time. It was fun to watch the large puddle on the playground turn from solid ice to water later in the day. 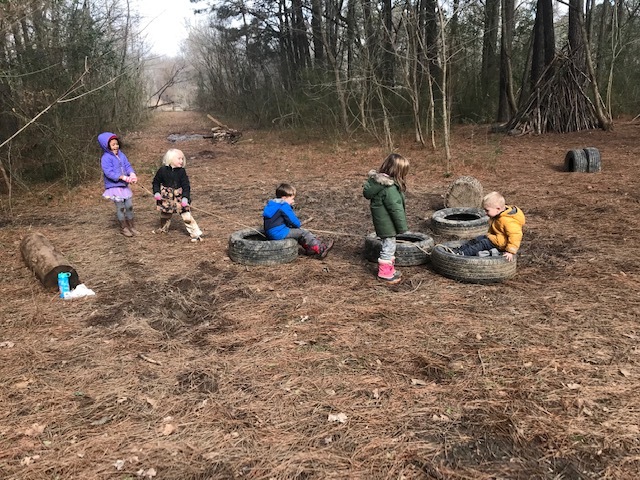 On Thursday, we enjoyed the morning as “Sungarten.” We have coined this term for times when Mountain and Meadow are together as one class. 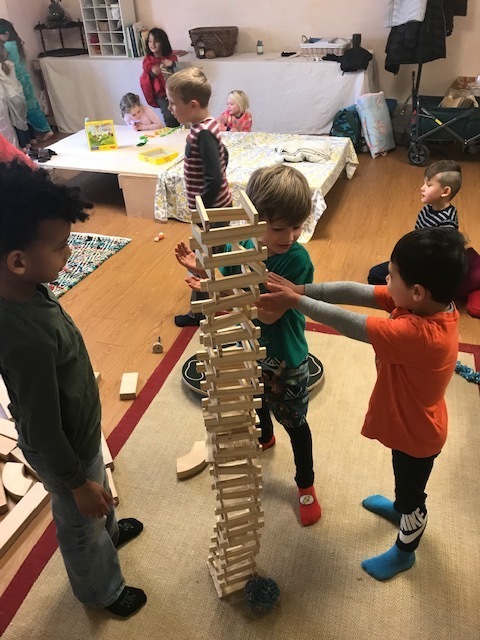 Sungarten enjoyed indoor playtime with the curtain pulled as we returned to the classroom earlier than planned due to cold temperatures. During this time, the children were able to work on a sewing craft that they loved! We will continue to work on this craft in the classroom over the next week or so. We are thankful to Ki Holly for baking bread for our Wednesday snack the past few weeks. It is delicious! We will start kneading the dough for bread in the classroom with the children so that they can be part of this special process. Thank you for joining us at the First Friday Assembly. We were very proud of the Meadowgarteners’ beautiful singing voices! 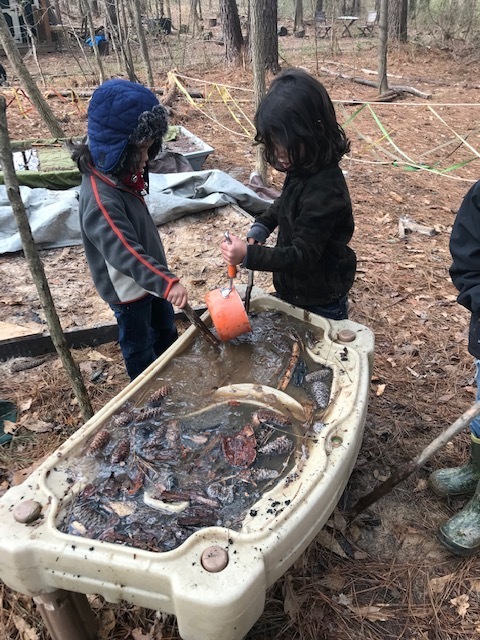 There is still a large amount of mud and water and in forest so please continue to send your child in warm, waterproof boots. 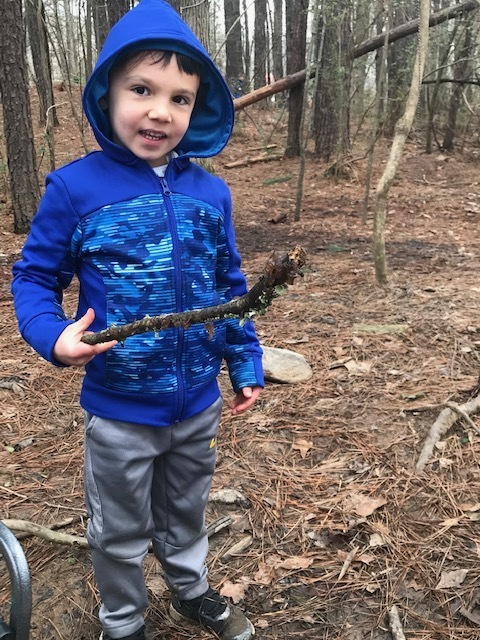 Please avoid sending your child in sneakers for forest play, as it is very difficult for their feet to stay dry and warm in them.